I completed my Geography degree last summer but didn’t know where to start looking to get my first break in the big, wide world. I heard about The Country Trust through a friend and thought the charity really matched my personal ethical beliefs of education and healthy lifestyles for all children; something I felt strongly about whilst doing my Geography course and completing my dissertation on food deserts. Starting out with no prior experience of working in an office, I have been able to get involved in the marketing and communications side of things. I have picked up lots of extra skills as well by doing different admin jobs too such as creating spreadsheets, arranging meetings and answering telephone enquiries. I have been involved with the exciting new rebrand of the charity and regularly publish social media posts. Everyone is willing to help so you are not thrown in the deep end and you definitely get to feel like a valuable part of the team. Not only is it a great bonus on my CV, but I have had so much fun working with a passionate and hardworking team. I can definitely say it has been a promising insight into working life. 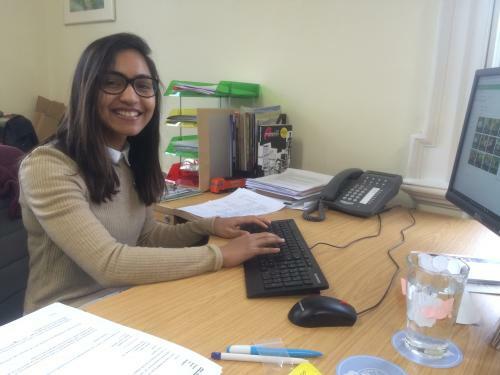 Since volunteering with The Country Trust, Wysh has gone on to secure a full-time paid role in a marketing position. We are extremely pleased that the experience we provided has helped her with her career progression.